Every year the Discovery Channel hosts one of the most exciting TV events of the year: Shark Week. Millions of people watch the show, whether it be for the exhilarating action shots or informational narrative; nobody wants to miss Shark Week. A lot can be learned specifically when looking at the Shark Week website from a design and development perspective as well. Discovery.com has been creating campaigns for this week all year. 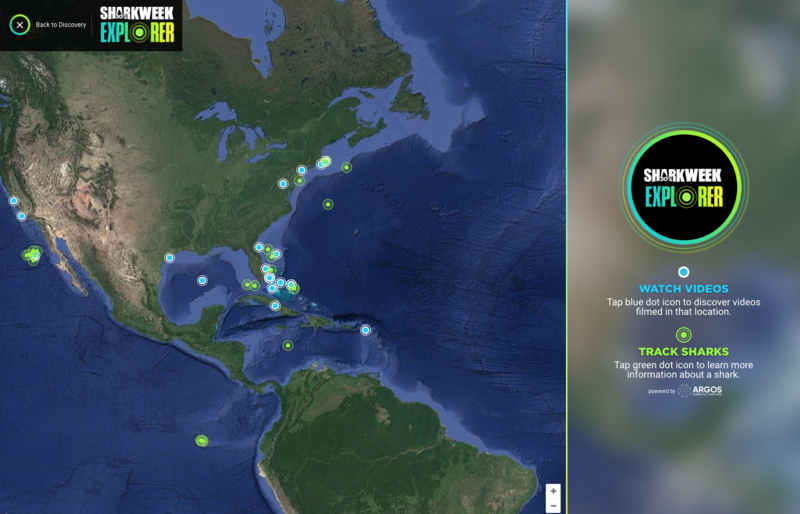 Not only has the event taken over the homepage of their website completely, Discovery also has an extremely engaging site which includes a shark tracking map. Interactive maps are a great way for companies to create a unique and memorable UX. A plethora of map possibilities are available to companies looking to create an engaging website. Maps are customizable and tailored specifically to your brand. WDG has worked with various clients on interactive maps. One of our favorite mapping projects was for American Red Cross. The disaster action dashboard included a custom built map integrating American Red Cross’s API with Google Maps, a location-based element directing users to action or helping them find disaster relief. Based on disaster locations, the map visually showcased different American Red Cross services–including emergency response vehicles, shelters, and American Red Cross response sites–which were each filtered by disaster. Discovery.com is an exemplary model of a successful mapping experience. WDG is fortunate to work on a site with Discovery Education, and we are pleased to see the great work that Discovery Channel has produced as well. The mapping experience contains stories, videos, updates, travel paths of sharks, as well as incorporates information about each tracked shark. Discovery.com seamlessly compiled all components into one map experience. Interested in improving your site with mapping capabilities? Get in touch with us today!